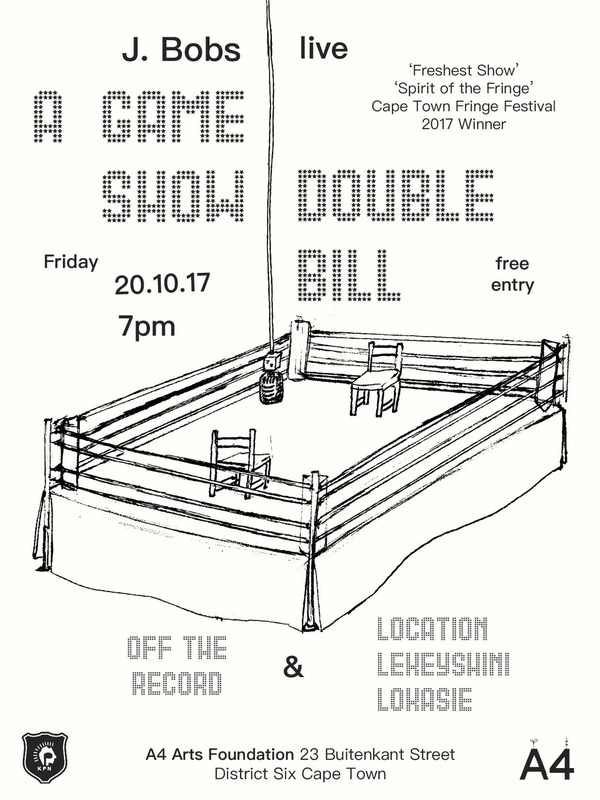 Kiri Pink Nob presents ‘Location | Lekeyshini | Lokasie' and ‘Off The Record’, a double bill game show that playfully interrogates the ‘anonymity’ most assume when clicking on to social media networks. 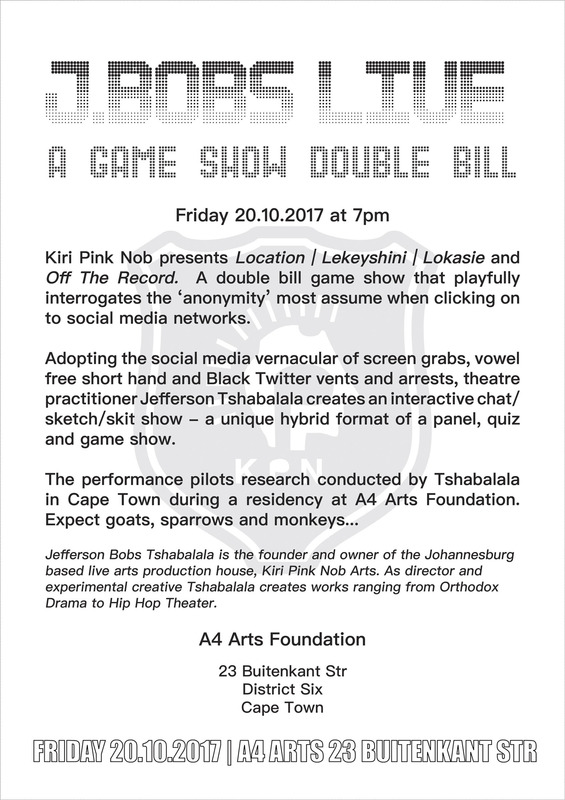 Adopting the social media vernacular of screen grabs, vowel free short hand and Black Twitter vents and arrests, theatre practitioner Jefferson Tshabalala creates an interactive chat/ sketch/skit show - a unique hybrid format of a panel, quiz and game show. 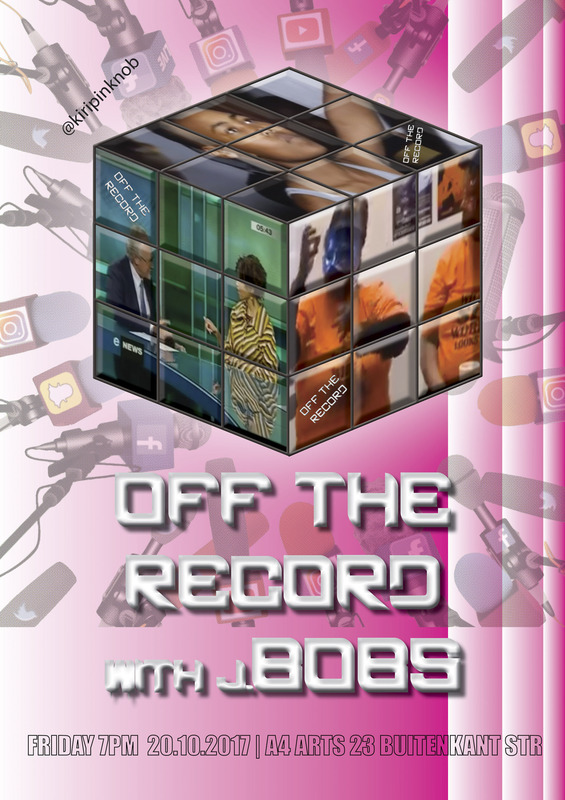 Jefferson Bobs Tshabalala is the founder and owner of the Johannesburg based live arts production house 'Kiri Pink Nob Arts.' As director and experimental creative, Tshabalala creates works ranging from Orthodox Drama to Hip Hop Theater.